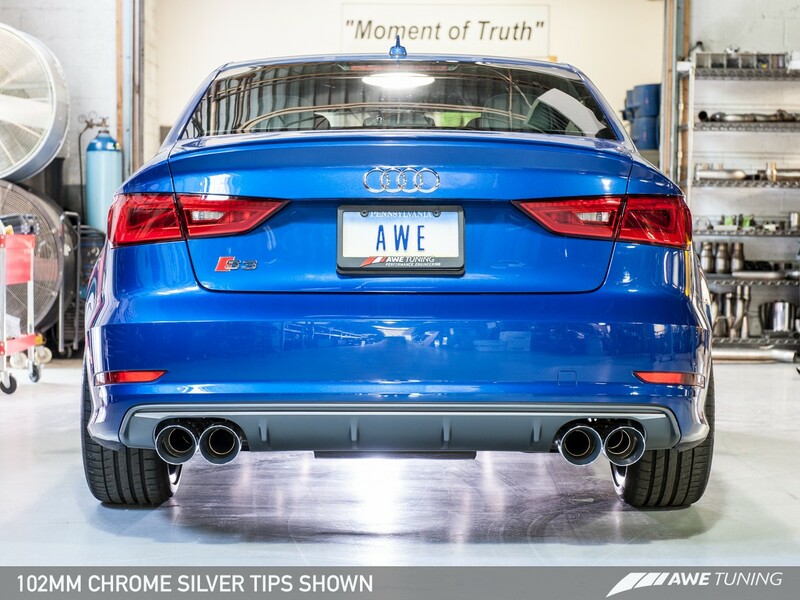 Upgrade your Audi S3 stock exhaust with this AWE Tuning 2.0T Cat-back Exhaust. 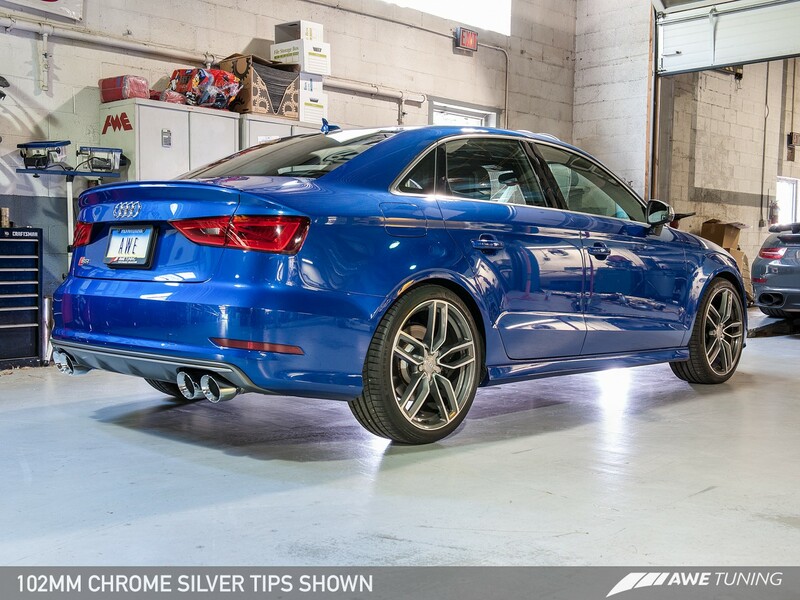 AWE Tunings Audi S3 Research and Development has yielded an exhaust that is remarkably civil while idling / part throttle cruising, but unleashed at full throttle it produces what some have called a war-cry wail. 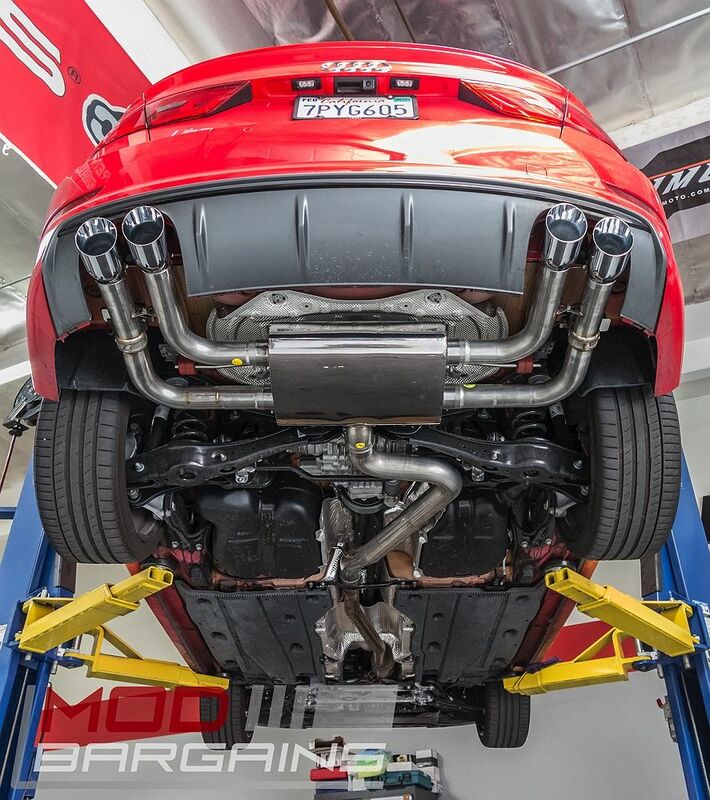 This AWE Tuning A5 exhaust is made by hand made utilizing only the finest materials, guaranteeing you a flawless and perfect fitting system. The stock exhaust system is full of crimped tubing that hurts exhaust flow and robs horsepower. The S3 2.0T exhaust was designed using sophisticated CAD modeling software to produce smooth gradual bends and to eliminate any interruption to the flow of exhaust gasses. 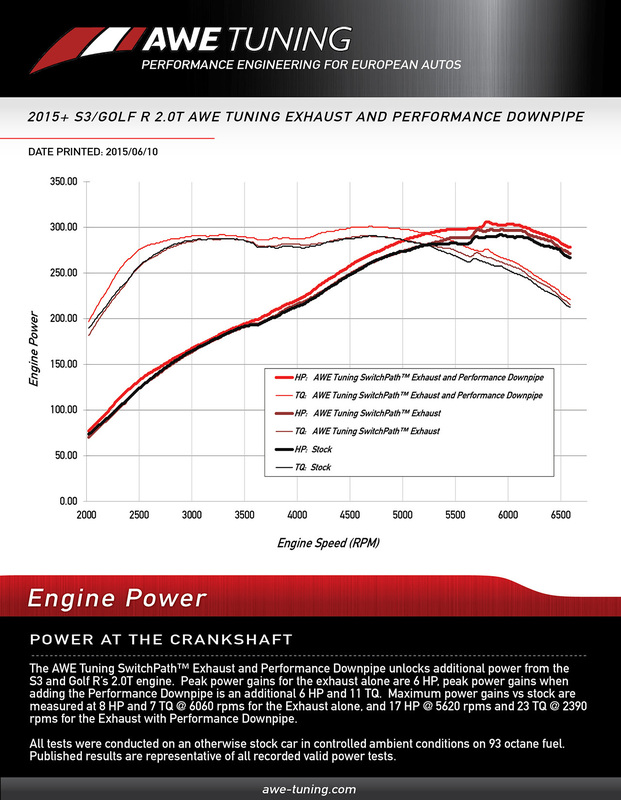 AWE Tuning improved the exhaust path resulting in Gains of 5 - 12 horsepower and 1- 9 lb ft of torque at the crank. 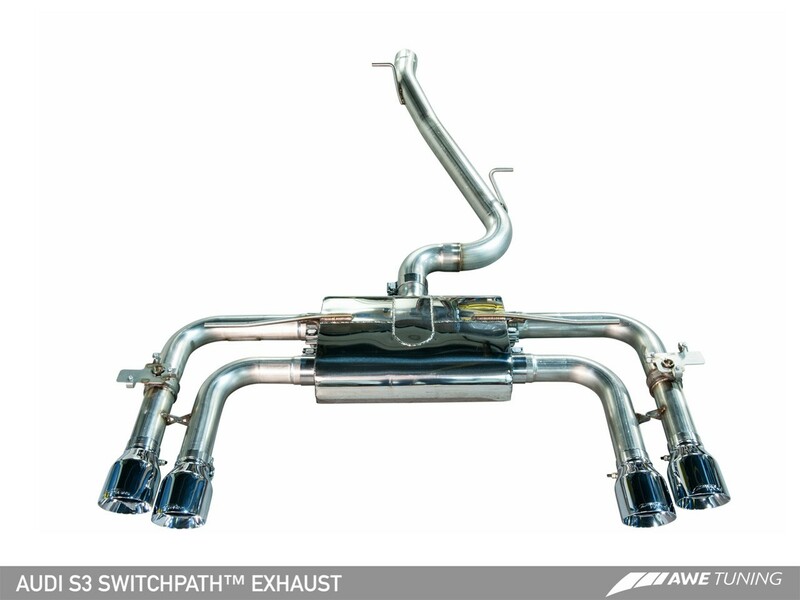 Set your Audi S3 apart while giving it a new deep exhaust tone with this AWE Tuning S3 SwitchPath Cat-Back Exhaust.